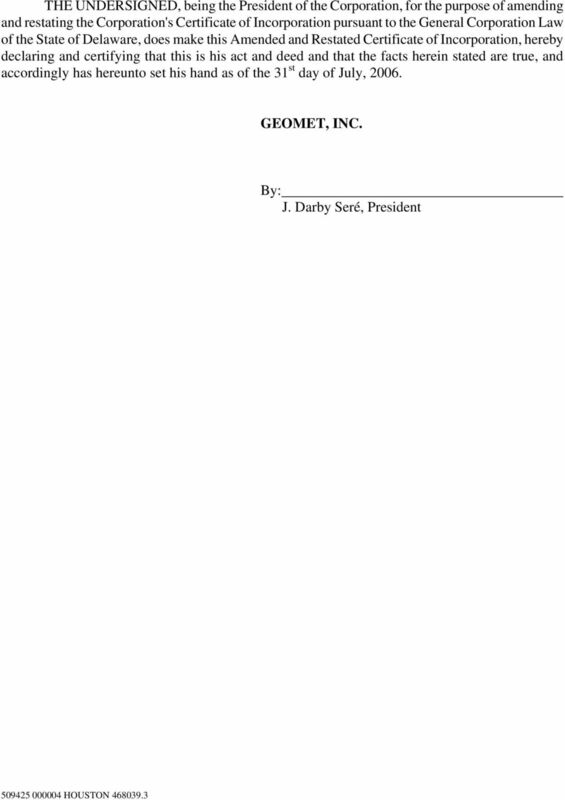 Download "AMENDED AND RESTATED CERTIFICATE OF INCORPORATION OF GEOMET, INC."
1 AMENDED AND RESTATED CERTIFICATE OF INCORPORATION OF GEOMET, INC. GeoMet, Inc., a corporation organized and existing under and by virtue of the General Corporation Law of the State of Delaware, hereby certifies as follows: FIRST: The name of the corporation is GeoMet, Inc. (the Corporation ). 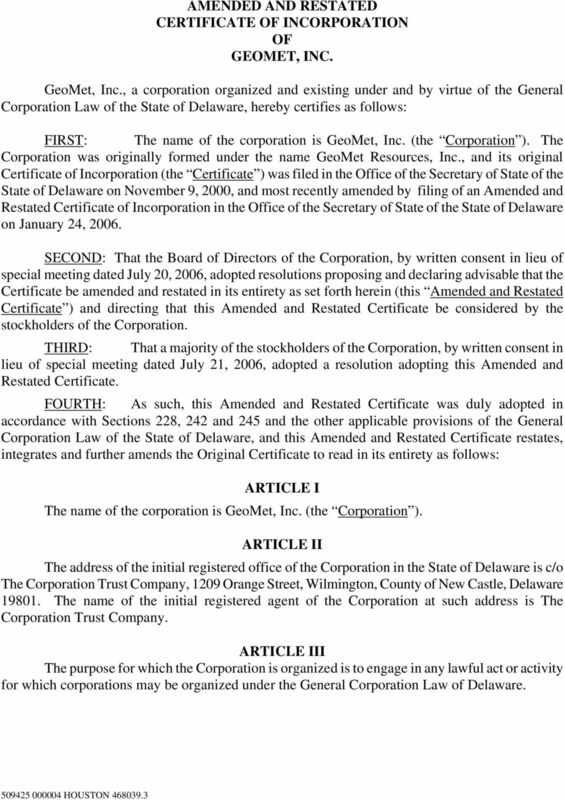 The Corporation was originally formed under the name GeoMet Resources, Inc., and its original Certificate of Incorporation (the Certificate ) was filed in the Office of the Secretary of State of the State of Delaware on November 9, 2000, and most recently amended by filing of an Amended and Restated Certificate of Incorporation in the Office of the Secretary of State of the State of Delaware on January 24, SECOND: That the Board of Directors of the Corporation, by written consent in lieu of special meeting dated July 20, 2006, adopted resolutions proposing and declaring advisable that the Certificate be amended and restated in its entirety as set forth herein (this Amended and Restated Certificate ) and directing that this Amended and Restated Certificate be considered by the stockholders of the Corporation. 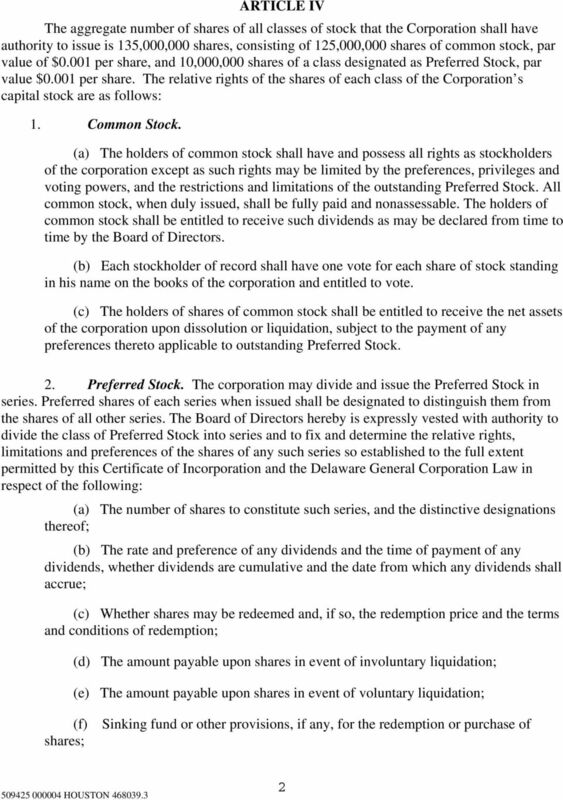 THIRD: That a majority of the stockholders of the Corporation, by written consent in lieu of special meeting dated July 21, 2006, adopted a resolution adopting this Amended and Restated Certificate. 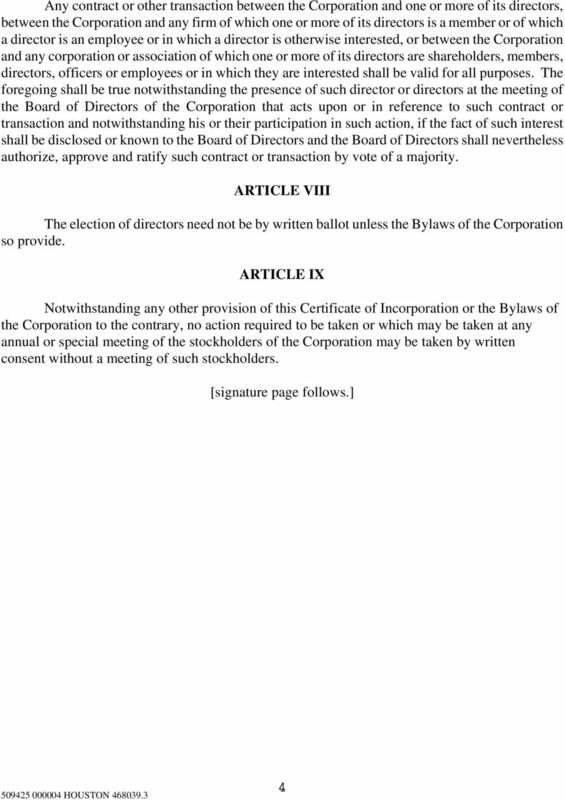 FOURTH: As such, this Amended and Restated Certificate was duly adopted in accordance with Sections 228, 242 and 245 and the other applicable provisions of the General Corporation Law of the State of Delaware, and this Amended and Restated Certificate restates, integrates and further amends the Original Certificate to read in its entirety as follows: ARTICLE I The name of the corporation is GeoMet, Inc. (the Corporation ). ARTICLE II The address of the initial registered office of the Corporation in the State of Delaware is c/o The Corporation Trust Company, 1209 Orange Street, Wilmington, County of New Castle, Delaware The name of the initial registered agent of the Corporation at such address is The Corporation Trust Company. ARTICLE III The purpose for which the Corporation is organized is to engage in any lawful act or activity for which corporations may be organized under the General Corporation Law of Delaware. 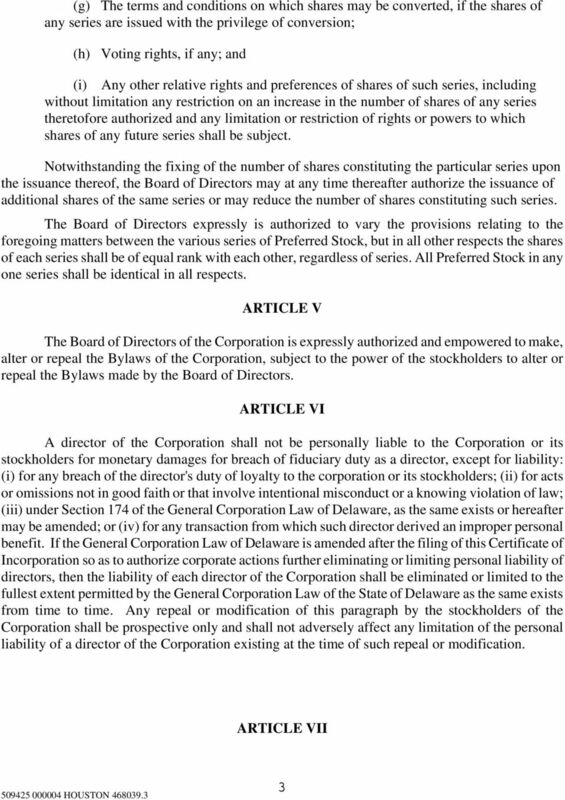 Stock corporation organized under the General Corporation Law of the State of Delaware on October 22, 1987.